Wakey Wheeled Cats are excited to announce a new captaincy team ahead of the first game of the league’s season, which takes place on Saturday April 25. 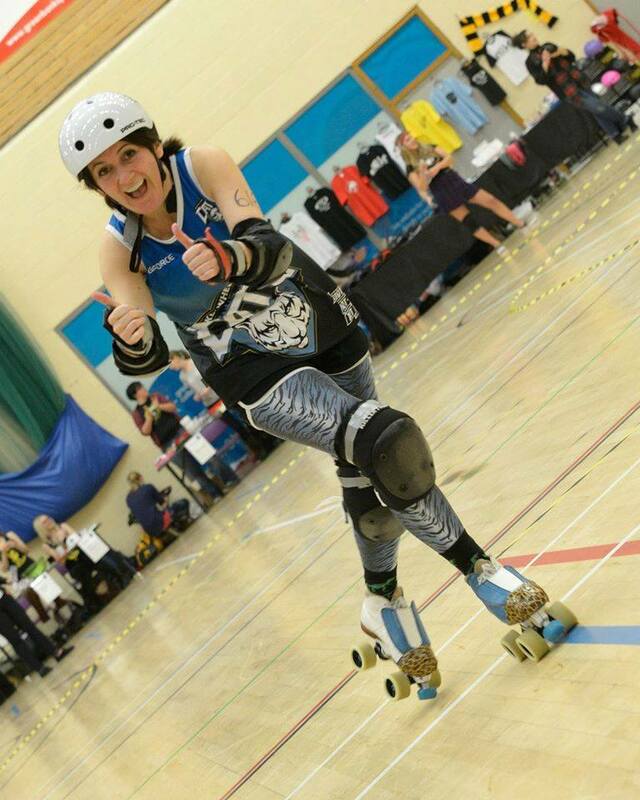 The Cats would also like to pay tribute to outgoing captain, Kirsty ‘Fu’ Quinn, who has led the league’s travel team into battle since its very first games at the inaugural Great Yorkshire Showdown in October 2010. Zoe ‘Bruise Buffer’ Melia, a founding member of the league, was voted into the role by members of the Cats’ A team after Kirsty decided to step back and concentrate on skating for the year ahead. Zoe has a long history of leadership with the team, having held the role of vice captain for several seasons, including skating as acting captain during periods of injury. She has also held a seat on the Cats’ governing committee since the founding of the league in April 2009. Following in the footsteps of Zoe, and former vice captains Vicki ‘Coyote’ Gray and Venetia ‘Ace’ Beba, Lindsay ‘Linda LuMardy’ Pantry was voted as the 2015 season vice captain. 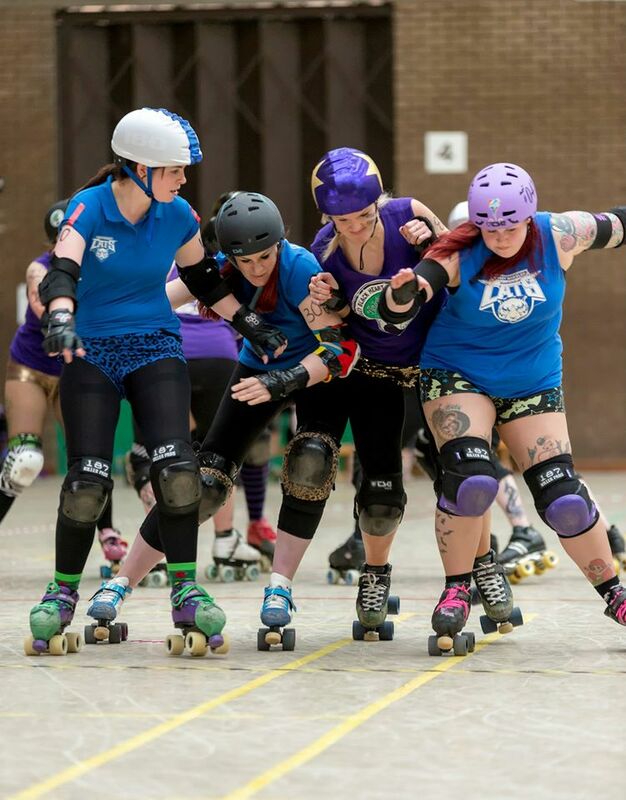 Zoe and Lindsay will skate out in their new roles for the first time at Huddersfield Sports Centre this Saturday, when the Cats take on the Middlesborough Milk Rollers’ B team, the Rising Rollers. Kirsty said: “It has been an honour to Captain the Cats for the last five years, with support from vice captain’s Ace, Bruise and Coyote. “I’ve seen the league grow from a tiny seedling of six skaters up to the oak of more than 50 skaters and two teams, and it has been a privilege to be heading such a strong team of women. “Coming into the sixth year the Cats are seeing changes, and it’s an exciting time to introduce a fresh and vibrant new Captaincy team. “Bruise will head the team with a good mind for tactics, and Mardy will be a perfect support with strong rules knowledge. Zoe said: “Over the last six years, Kirsty has done so much for the team, and the league as a whole, something we are all very grateful for. I hope with her support, that I can take the team forward even further. Lindsay said: “Kirsty is a tough act to follow but Bruise is an excellent choice. She knows the team inside-out and her calm approach to game day will help the team prepare for what are going to be some tough match-ups this season. Tickets are on sale for Saturday’s game here, which includes a mixed team ‘first bite’ opener. Doors open at Huddersfield Sports Centre at 3pm. Anyone wearing a Wildcats or Wheeled Cats t-shirt can pay on the door at the discounted price of £6.